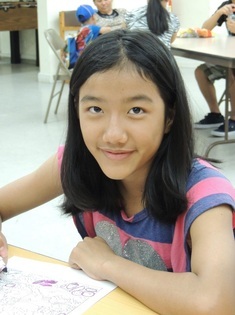 Straight A’s are excellent validation for any student, but for rising eighth-grader Miriam, her place on the high honor roll represents more than academic success. Before being resettled by RefugeeOne in 2012, Miriam didn’t speak a word of English and had not set foot in a classroom in years. Her story is one of bravery and determination—as well as the support that a dedicated community can lend. Miriam was born in Burma in 2000, a country that has been wracked by violent conflict and human rights violations for more than 50 years. When she was a little girl, her father fled the country in fear for his life. The family hoped his exile would be temporary, but a few years later, it became clear that Miriam, her mother, and her siblings were not safe either. They traveled to Malaysia to join her father, but even outside of Burma, the family’s dreams of safety and education were out of reach: refugee children are not eligible for public school there and Miriam’s parents could not afford to send their children to private school consistently. When Miriam arrived in Chicago, she had not been to school in almost two years. She was intent on catching up, though, and so she did. Last year, she wowed the whole school when she placed in the top three at a spelling bee—in English. This summer, Miriam is one of 80 refugee children at RefugeeOne’s summer camp. Alongside staff and a team of energetic volunteers, Miriam and her friends play soccer, work on arts and crafts, and go on field trips to museums and Lake Michigan. In the fall, when school resumes, she’ll return to the after-school program with 200 more refugee youth and get a new backpack filled with school supplies from our supporters.